Definition (MSHCZE) Jakákoli z dutých cév určených k transportu krve (tepny, arterioly, kapiláry, venuly a vény). Definition (UWDA) General anatomical term which describes an elongated, organ part, the trilaminar wall of which consists of tunica intima, media and adventitia; its lumen (organ cavity) is continuous with the cavity of the heart, directly or indirectly through the branches of arteries and the tributaries of veins; it conveys blood between the heart and other organs and body parts; together with other blood vessels and the heart, it constitutes the cardiovascular system. Examples: aorta, pulmonary trunk, coronary artery, superior vena cava, renal artery, renal vein. Definition (NCI_NCI-GLOSS) A tube through which the blood circulates in the body. Blood vessels include a network of arteries, arterioles, capillaries, venules, and veins. Definition (NCI) A tubular structure through which the blood circulates in the body. Blood vessels constitute a network composed of arteries, arterioles, capillaries, venules, and veins. Definition (MSH) Any of the tubular vessels conveying the blood (arteries, arterioles, capillaries, venules, and veins). Definition (CSP) any of the tubular vessels conveying the blood (arteries, arterioles, capillaries, venules, and veins). Definition (FMA) Organ system which consists of the heart, the systemic and pulmonary arterial and venous system, the lymphatic and the portal venous system. Definition (NCI_NCI-GLOSS) The system that contains the heart and the blood vessels and moves blood throughout the body. This system helps tissues get enough oxygen and nutrients, and it helps them get rid of waste products. The lymph system, which connects with the blood system, is often considered part of the circulatory system. Definition (NCI_NCI-GLOSS) Having to do with the heart and blood vessels. Definition (NCI) Pertaining to the heart or blood vessels. Definition (NCI) Relating to the heart and the blood vessels or the circulation. Definition (MSH) The HEART and the BLOOD VESSELS by which BLOOD is pumped and circulated through the body. Definition (CSP) bodily system consisting of the heart, blood vessels, and blood that circulates blood throughout the body, delivers nutrients and other essential materials to cells, and removes waste products. Definition (FMA) Organ with cavitated organ parts, which is continuous with the systemic and \npulmonary arterial and venous trees. Examples: There is only one heart. Definition (MSHCZE) Dutý, svalnatý orgán, který udržuje krevní oběh. Definition (UWDA) Organ with cavitated organ parts, which is connected to the systemic and pulmonary arterial and venous trees. Examples: There is only one heart. Definition (NCI) A hollow organ located slightly to the left of the middle portion of the chest. It is composed of muscle and it is divided by a septum into two sides: the right side which receives de-oxygenated blood from the body and the left side which sends newly oxygenated blood to the body. 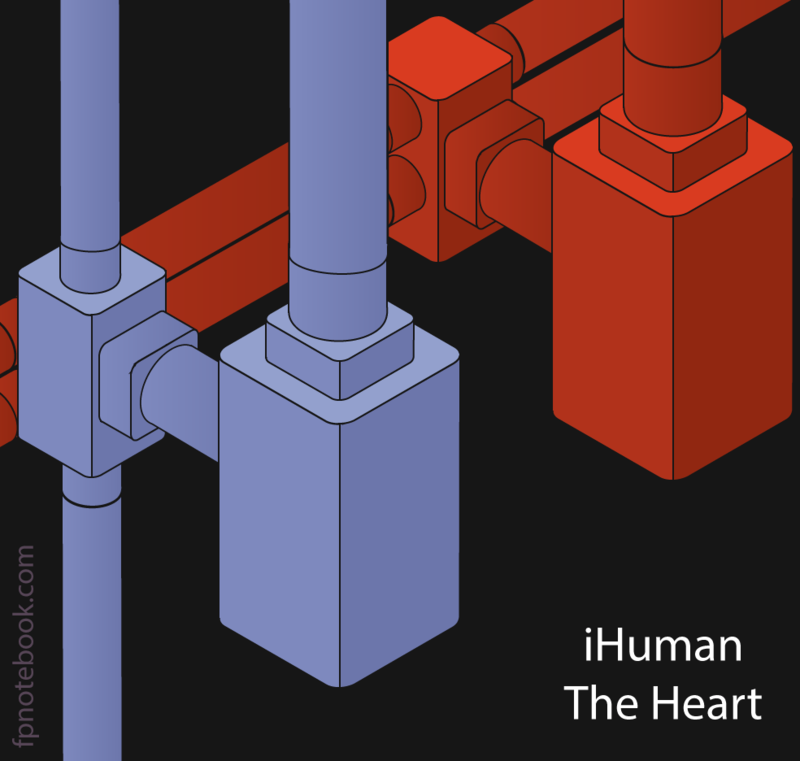 Each side is composed of two chambers: the atrium (receiving blood) and ventricle (ejecting blood). Definition (MSH) The hollow, muscular organ that maintains the circulation of the blood. Definition (CSP) hollow, muscular organ that maintains the circulation of the blood.